NVIDIA announced the GeForce GTX 1070 Ti performance-segment graphics card last week; today, the reviews are going live. The GTX 1070 Ti is its latest (and probably final) implementation of "Pascal". It's been close to 18 months since the NVIDIA "Pascal" GPU architecture made its debut with the GeForce GTX 1080, back in May 2016. 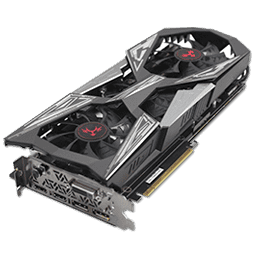 It enjoyed virtually zero competition from AMD for the most part, which took another 14 months to come up with something that could compete with the GTX 1080 and GTX 1070, with the RX Vega 64 and RX Vega 56, respectively. The enthusiast-segment GTX 1080 Ti and TITAN Xp remain unchallenged. NVIDIA may have erred in differentiating the GTX 1070 from its bigger sibling. The GeForce GTX 1070 Ti is designed to fill the performance gap between the GTX 1070 and GTX 1080, but by being closer to the GTX 1080 than just halfway. This is probably necessary for it to outperform the RX Vega 56. While the GTX 1070 lacks a quarter of the 20 "Pascal" streaming multiprocessors (each worth 128 CUDA cores), the GTX 1070 Ti lacks just one. This takes its CUDA core count all the way up to 2,432, which is just 128 fewer than the 2,560 of the GTX 1080, a staggering 512 more than the 1,920 of the GTX 1070. To not make the GTX 1070 Ti "too good," NVIDIA carried over the memory setup of the GTX 1070. You get 8 GB of older GDDR5 memory ticking at 8.00 GHz, which churns out 256 GB/s of memory bandwidth; in contrast to the newer 10 GHz GDDR5X memory on the GTX 1080 (320 GB/s) and faster 11 GHz memory on the GTX 1080 refresh (352 GB/s). The clock speeds are another interesting mix. The GTX 1070 Ti has the base clock of the GTX 1080, but the boost clock of the GTX 1070. So the GPU Boost multipliers are rather restrained. These, coupled with the inherently better energy efficiency of the "Pascal" architecture compared to AMD "Vega," make for an interesting answer by NVIDIA to AMD's latest challenge. 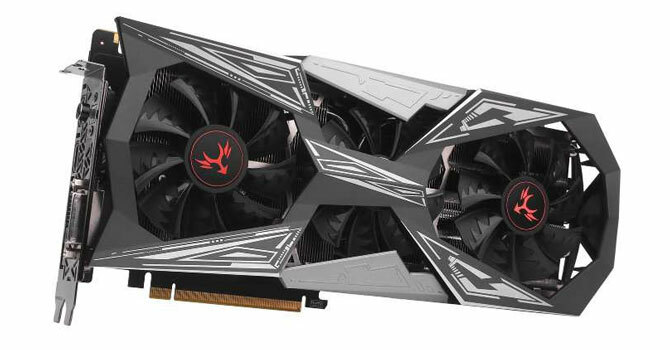 In this review, we're taking a look at the Colorful GeForce GTX 1070 Ti iGame Vulcan X TOP, which, besides its long name, comes with a reworked PCB design and extra large triple-slot, triple-fan GPU cooler. Colorful is mostly known in Asian countries - the price, according to Colorful, is $650, which is much higher than any other GTX 1070 Ti we've seen to date.